This portlet displays all posts that can be seen on the News homepage of Intrexx Share. By clicking on the link "Show/Hide filter", you have access to the usual Filters in Intrexx Share. 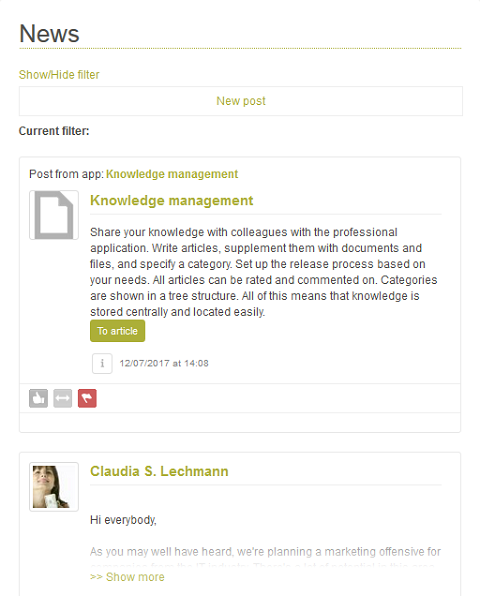 You can also create new posts from the portlet by clicking on the corresponding link. Click here for more information. Displays the Intrexx Share groups that you have permission to see. 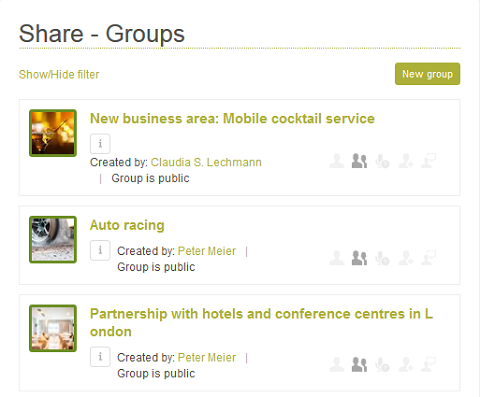 New groups can be created by clicking on the corresponding button. Click here for more information. 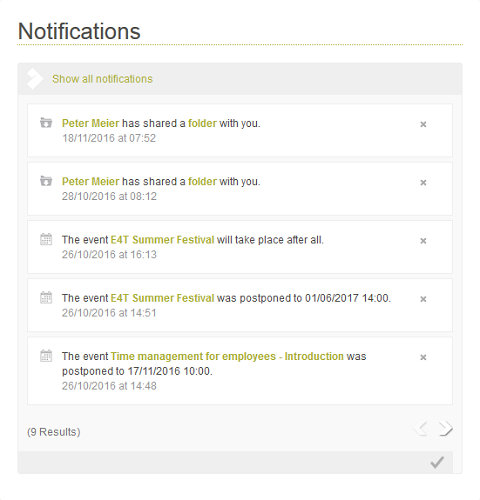 Displays the Intrexx Share events that you have permission to see. 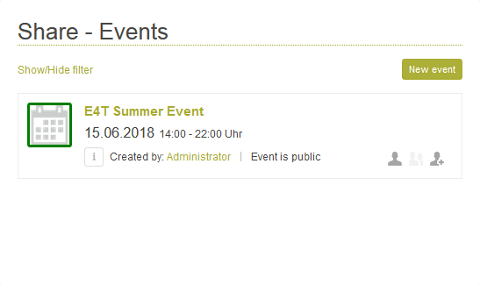 New events can be created by clicking on the corresponding button. Click here for more information. Displays all of the notifications that are relevant to you. Click here for more information.